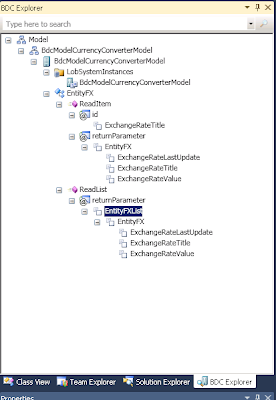 .NET Source Code: Business Data Connectivity and Web Services in Sharepoint 2010 - Creating a Currency FX list. 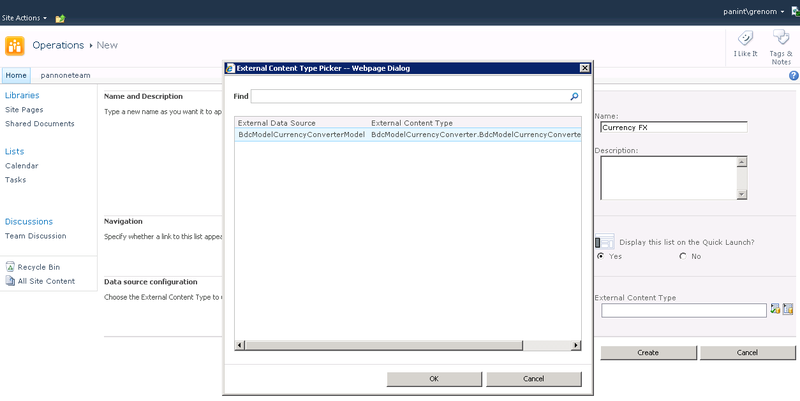 Business Data Connectivity and Web Services in Sharepoint 2010 - Creating a Currency FX list. 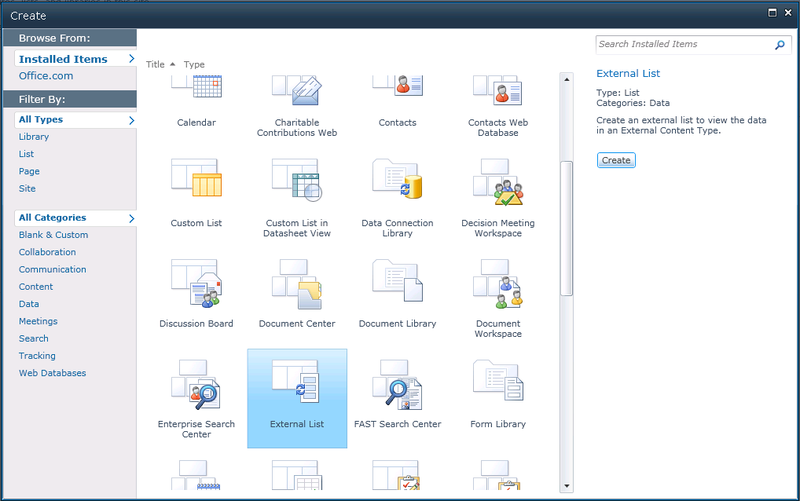 Business Data Connectivity services are probably one of the most powerful tools in Sharepoint 2010. 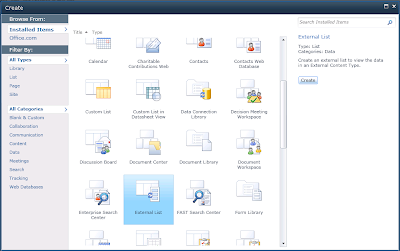 Basically Microsoft Business Connectivity Services solutions use a set of standardized interfaces to provide access to business data. As a result, developers of solutions do not have to learn programming practices that apply to a specific system or adapter for each external data source. 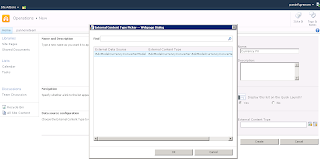 Microsoft Business Connectivity Services also provide the run-time environment in which solutions that include external data are loaded, integrated, and executed in supported Office client applications and on the Web server. 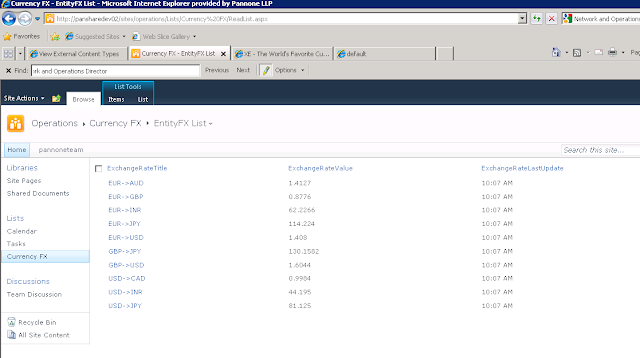 In this sample we are going to navigate to the basics using a Currency FX web service based in SOAP 1.1 . 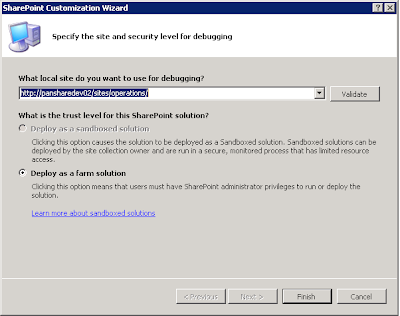 BDC can be used with Sharepoint Designer 2010 and Visual Studio 2010. 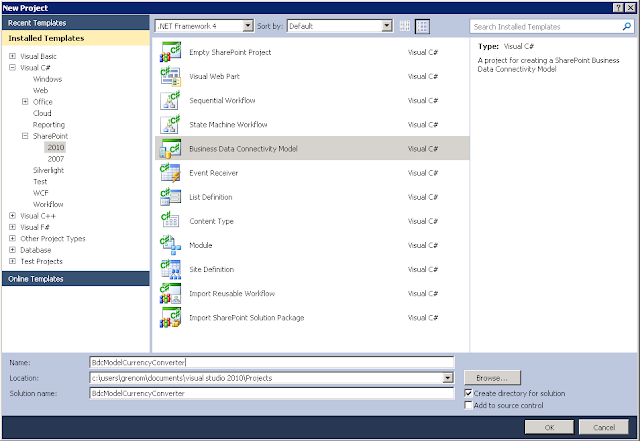 The new designer is really powerful, but assuming we want to have flexibility so we are going to the Visual Studio 2010 path. 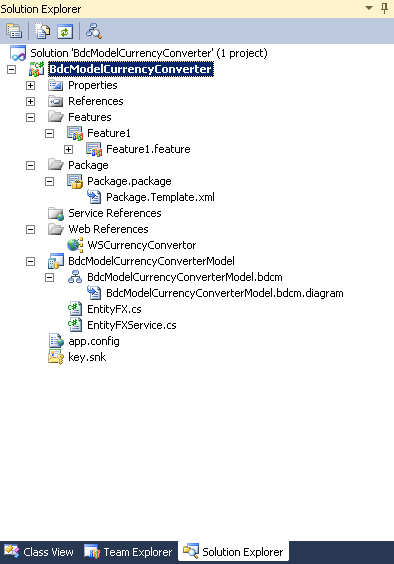 3- Write BdcModelCurrencyConverter as a name of the project. 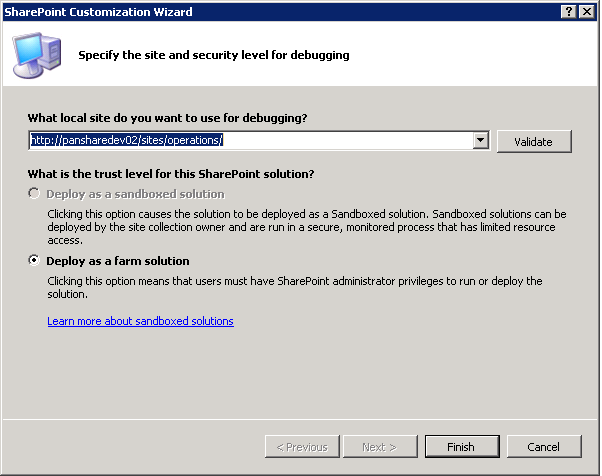 4- Click Ok and a new window will ask you where to deploy the project, type the path of where you want to display your list. 5- Now it is ﻿time to rename our project, this is not a easy task, you can not just rename the BdcModel1 with the name you want, because you will en breaking everything. So! what are we going to do is remove the whole BdcModel1 tree and go to our project and right click "Add->New Item". 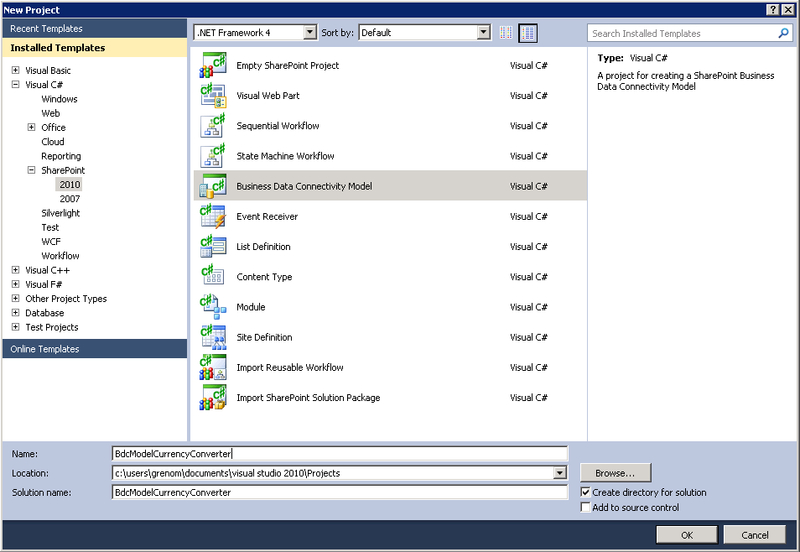 6- Then you will choose (under Sharepoint 2010) Business Data Connectivity Model, below type the name you want for your connector. 8- Go to Edit->Find and Replace and replace Entity1Service by EntityFXService and Entity1 by EntityFX. http://www.webservicex.net/CurrencyConvertor.asmx?WSDL . This web service provides real-time currency exchange. 10- We will call the "Web Reference" WSCurrencyConvertor. /// This class contains the properties for EntityFX. The properties keep the data for EntityFX. //TODO: This is just a sample. Replace this simple sample with valid code. 14- After doing all of this, go to BdcModelCurrencyConverterModel double click and be sure you can select the "BDC Explorer". Rename the EntityFX fields as below. 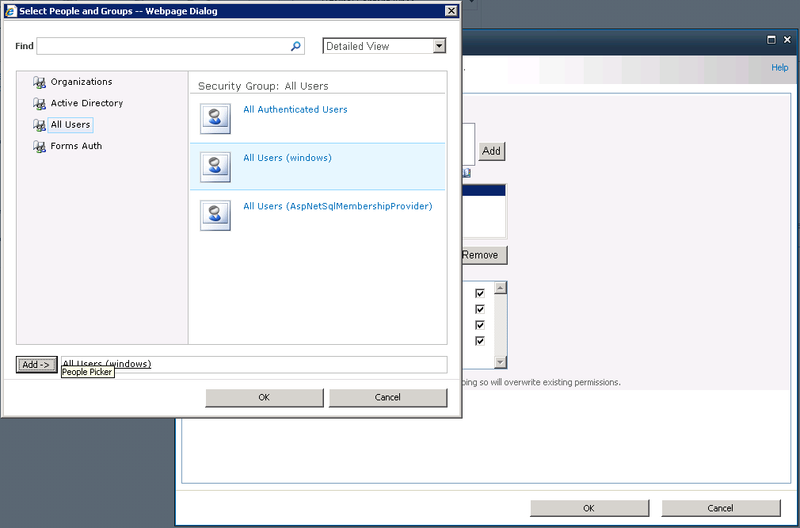 15- Press F5 to deploy the BDC and go to your admin website, select the BDC and add All users permissions. 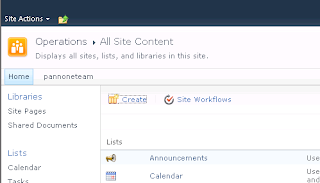 16- Go to your website click on Lists and Create a new list. Any problems write a comment. Thank you so much for this article. I've been looking for something like this for a long time.